Fusion Power has always been promoted as the “power source of the future” and the “ultimate promise of nuclear technology”. While decades of time and Billions of Dollars have been spent trying to bring this dream to reality, the one method that worked, back in the 1960’s, has been systematically ignored. Endless funding continues to be spent on the methods of “magnetic containment” and “inertial containment”, both of which have utterly failed to produce any energy gain. But history shows that the same inventive genius that gave us electronic television and the photo-multiplier tube, which is the basis of night vision goggles, also invented “the fusor” tube, using “electrostatic containment”. That genius was Philo T. Farnsworth. 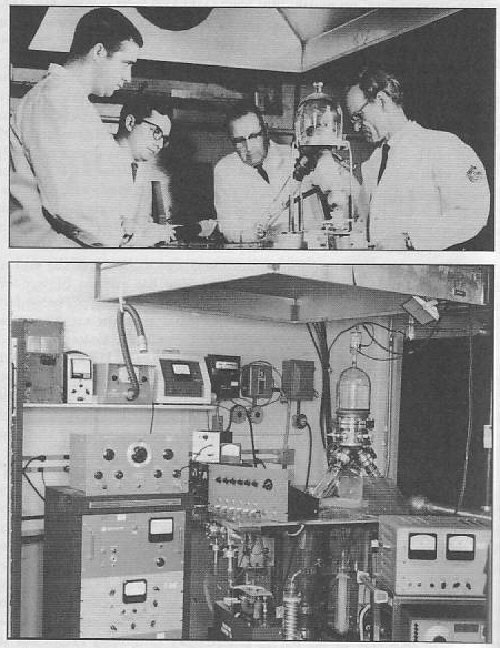 The working model (pictured above) produced a series of sustained fusion reactions at the ITT laboratory in 1965, before the project was shut down. The AEC (Atomic Energy Commission) was putting tremendous pressure on ITT to stop the project. When Farnsworth suffered a mild stroke, ITT could not keep the project going. The AEC was pushing for the continued development of fission reactors by GE and other major contractors. An early publicized success in fusion technology could capture the public’s imagination and divert funding for commercial fission reactors. The technical development of fusion by “electrostatic containment”, in spite of its status as having been successfully demonstrated, has never been duplicated. If there is such a thing as “safe nuclear power”, then surely, this is it!